1. Using whisker, place Group 1 in mixing bowl. 2. Whisk approximately 1 minute on 1st speed. 3. Whisk further 10 minutes on 3rd speed. 4. Blend in Group 2 for 1 minute on 1st speed. 5. 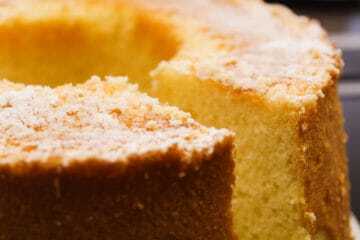 Deposit 500 g into ungreased chiffon cake mould. 6. Bake at 180°C for 45 minutes.